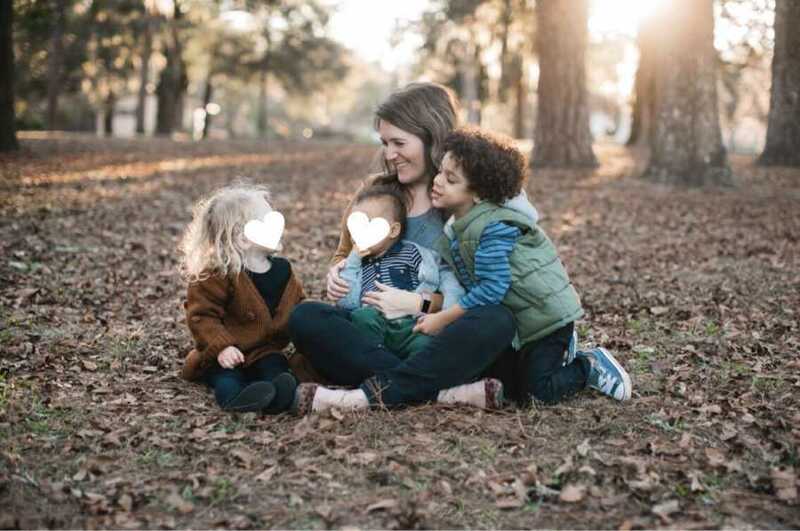 “Who would have thought God would call a single woman who has never been in a relationship to foster and adopt three toddlers. I have always desired to have a family. Even as a child when everyone dressed up for career day as doctors and lawyers, I would dress up as a stay at home mom with a baby doll on my hip. That was my ultimate dream. I loved kids and family friends joked and gave me the nickname ‘The Pied Piper’ because kids would always seem to follow me everywhere at church events. When I got older and was in college I made the decision to become a teacher. 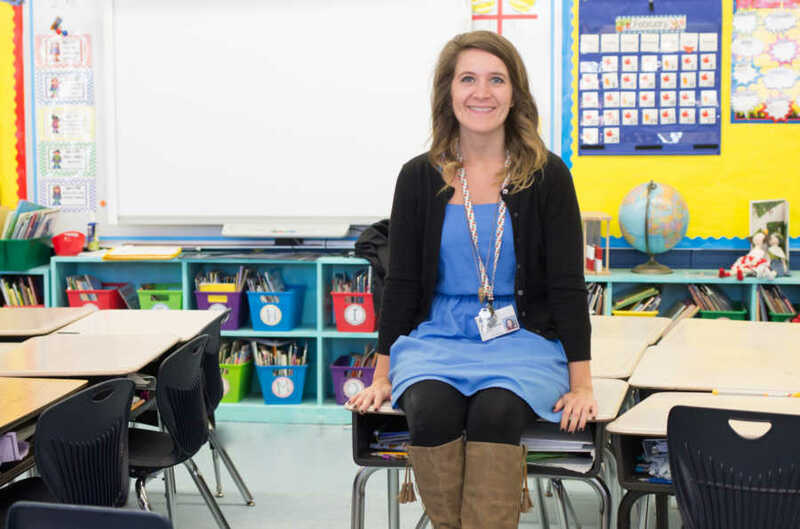 A career in teaching seemed like a natural fit. I loved children and to be able to help them as my job sounded perfect. One of the long nights in college studying I got distracted on Facebook and came across a video of a woman named Katie Davis. She was a 20 something single woman talking about her mission work in Uganda. She then said she was in the process of adopting 14 girls as a single person. What?! This blew my mind. I was still very single and didn’t see any prospects in sight. It didn’t seem like I would find my person anytime soon. I didn’t know that adopting in my singleness was an option. I got so excited thinking this might be a possibility for me. I stopped the video immediately and I researched what was the least expensive way to adopt. I knew what my friend’s families paid for adoption and I didn’t think I could afford it on my own. When I googled, ‘Foster Care Adoptions’ was number 1 on the list for the least expensive form of adoption. I think I audibly said, ‘No way!’ when I read it. Foster care terrified me. 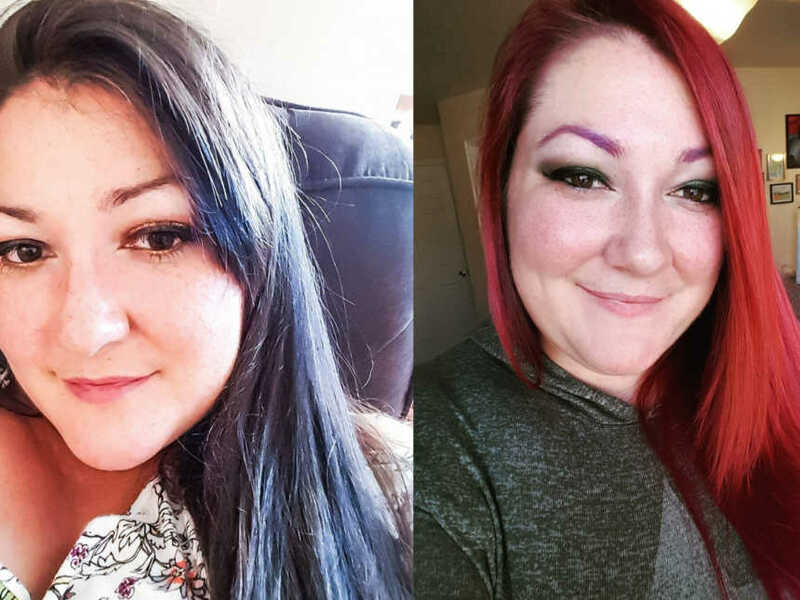 How could a single gal handle foster children on her own? I believed the misconceptions there are about those in child welfare, they were troubled and bad kids. 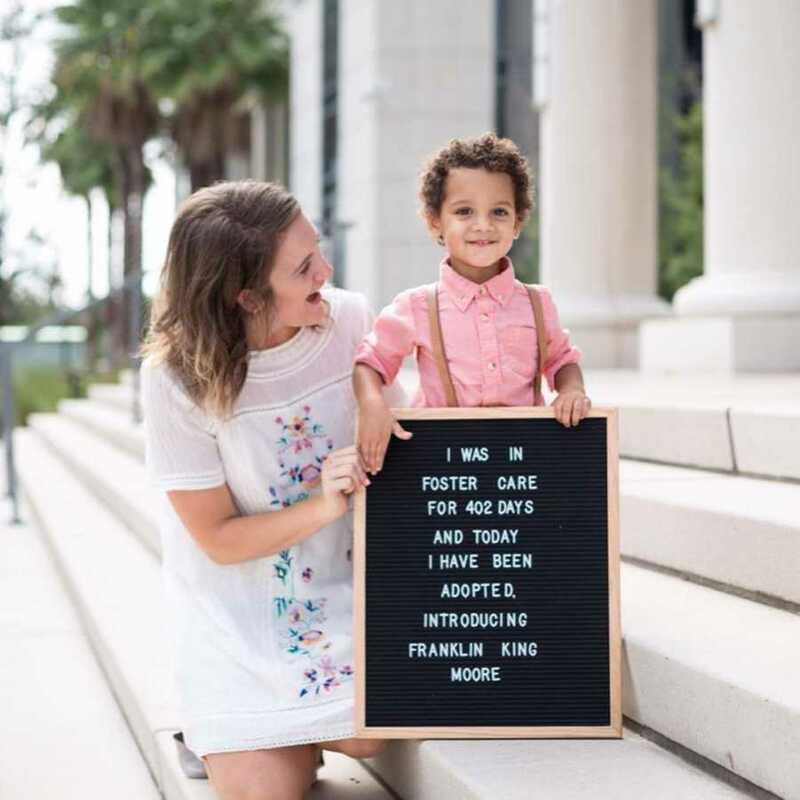 I immediately dismissed this thought of adopting and it would need to be something I pursued in marriage, but God planted a seed for foster care. The months that past I kept feeling the pull towards child welfare. 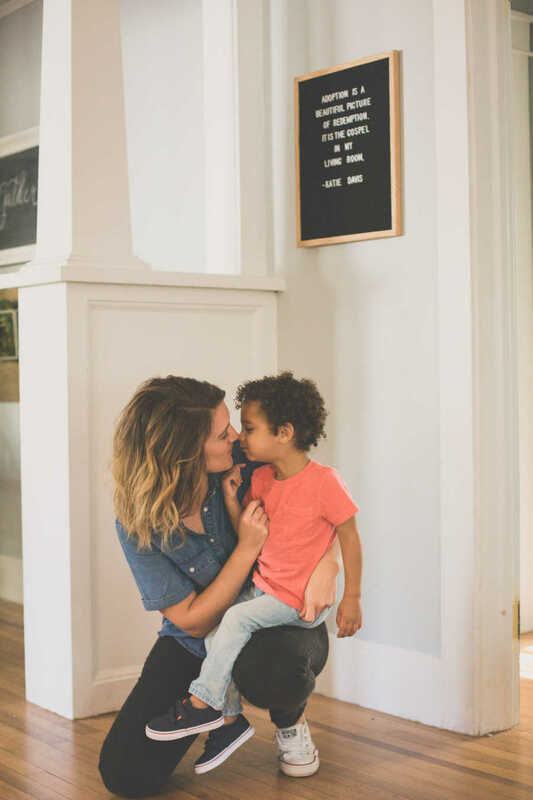 Even though I had pushed fostering to the back of my mind it seemed like God kept bringing it in front of me, through TV shows, magazine articles, or conversations around me. A few months later I was hired as a 2nd grade teacher and taught in a Title 1 school. This means children qualified for free lunch and breakfast because of the income of the people in the area. I loved my students but there were some that did come from hard home lives and that concerned me. I tried to help in any way I could by providing for their physical needs like book bags, shoes, and food as well as teaching them. My first year teaching didn’t go at all like I had imagined. Picture a class that is like an extreme version of the Kindergarten Cop movie. This was basically my classroom. Kids threw chairs, hit, and cursed at me. Basically think of anything that can happen negative behavior wise in a classroom it probably happened in mine that year. The behaviors made it very difficult to teach and enjoy the day to day. I cried a lot that year and not understanding why God would have it be such a crazy teaching experience. But in all the chaos there were a few students who were bright lights and there was one student in particular that had a special place in my heart. She was so sweet in my class when there was chaos all around. She would listen attentively to my lessons, sit with me on the playground to tell me about her day, and would color me pictures. She was a sweet gift to the crazy classroom. But I started to get concerned about my student. Her hair started looking very unkempt and I took notice she was wearing the same clothes a couple of days in a row. Then I saw she was hoarding the extra breakfasts in her desk. I got worried for this student and she would be put into foster care. What kind of family would she be placed with if she went? Would they be kind to her? Would she stay in the same school? All the sudden those fears of being a foster parent I had months prior rushed away. It hit me the reason why kids are put in care and also these are just KIDS! They didn’t do anything wrong. Unfortunately, things are happening to them that is not in their control and they need love and stability in this time when they are not with their biological parents. Thankfully my student went to be with family but this incident moved me and changed my heart towards foster care. I knew what I had to do. I was going to sign up to be a foster parent even if my relationship status was single. I told my parents about my interest in adopting and I was going to foster. They didn’t say too much but I could tell they were not sure about this process. The more I talked about adopting and fostering the more they warmed up to the idea. They were still nervous for me and wanted to protect me from getting hurt but they were very supportive and wanted to join the foster care journey with me. Once I was completely committed to fostering I went through the process pretty quickly. I was the nerd in the fostering classes who had everything done on time and was asking for the next packet of paper work! I honestly couldn’t finish the process fast enough. I completed the classes, decorated a nursery, and was licensed with the state to foster in about 2 months. I was eager to be available to help children if they needed a safe home while in care. On July 4th, 2016 I was at the gym and I got the call from placement. 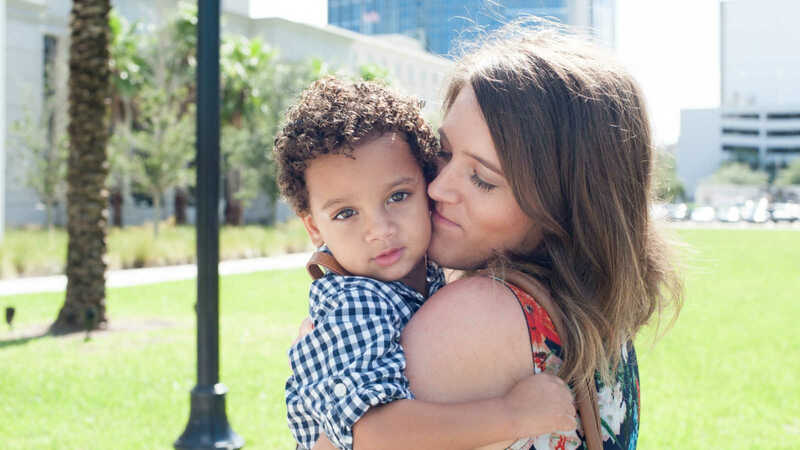 They wondered if I would be able to take in a biracial 14 month old boy. ‘He can’t walk or talk and he might have something wrong with his legs. Are you interested in taking him in?’ That’s the information I was given. I could have easily said no, but I felt the pull to say yes. I was so excited and nervous that I was shaking as I called my parents to tell them I was about to become a foster mom. My mom screamed with excitement when she heard the news. All these years of thinking of adopting and these months preparing to foster all leading to this moment. I naively thought I would have the day to prepare for his arrival, but about 45 minutes later the investigator dropped him off at my house. When she pulled up to the house with him I walked to the car and took him out of his car seat. What I remember specifically was how he was so smiley and went right to me. He had zero hesitations of me holding him or coming into my home. Neither of us knew we had just met our forever family. I fed my new foster son lunch, ran to Walmart to pick up essentials (where he pulled all the clothing off the shelves..), and scrambled to figure out life with a toddler. That night after I put him to bed I finally had a minute to sit and reflect on the events of the day. Once I sat down, I bawled. I called my dad and I was afraid to tell him what I was thinking, ‘WHAT DID I JUST SIGN MYSELF UP FOR?’, I made a mistake in saying I could foster by myself. What was I thinking? I went from having all the freedoms of a single person to being a mom literally in a few minutes. Once I revealed to my dad these thoughts he wasn’t surprised at all. He told me I was in shock. It’s naturally going to take time to adjust but I committed to care for this child while he couldn’t be with his family. I need to try to help him but to give it time to get used to our new normal. I agreed but I said through tears, ‘I am definitely not going to adopt.’. The days turned to weeks and I fell in love this this child. After the initial shock of the first crazy day he adjusted to my home very quickly and his handsome face and personality made him easy to love. He had my whole family wrapped around his little finger. At the time the goal was for him to reunified with his biological mother. I was preparing for that day even though I knew it would be very difficult to say goodbye. After a few months though I was told the plans for him had changed and he would be up for adoption. They asked if I was interested and I said yes in a heartbeat. How my thoughts and heart had changed in these few months! I prayed if I would be the right fit to be his mommy, but again I felt the pull to say yes. A little over a year after placement we were able to have the adoption day and become a forever family. August 10th,2017 was the sweetest day where Franklin legally became my son. The adoption day was very emotional. There were several roadblocks leading up to this day where we weren’t sure if it was even going to become a reality. I almost didn’t let myself hope it would actually happen until the judge said, ‘You’re a family!’. Our close friends and family were there to support us and filled up the court room. When the judge asked me to share why I desired to adopt Franklin I got teary eyed thinking about all the years I desired to have a family. I didn’t imagine this would be how the Lord would bring it about, but it has exceeded all my hopes and dreams. I was thrilled that we were now a family not just in our hearts but in the court’s eyes as well. I desired to keep fostering and to have my son have a heart of compassion for others who have gone through the same experiences. On January 29, 2018 I accepted a call for an 18 month old girl. From the information I was given she would only be with me for a few months but we were excited to help her in the meantime. She entered our home and it was a seamless transition. She is the sassiest and sweetest girl and you would never know she has experienced so much trauma. I’m amazed at her resilience constantly. My son and foster daughter got along great from the start. Franklin was so happy to have a playmate and I think she was too. They both gained a sibling and a best friend. But to my surprise, the very next day after her placement my son’s biological brother was born and put into care. I reached out to those involved to let them know we were available to take him in so the boys could be together but he was placed with another family. I was heartbroken that my son’s brother wasn’t with us and I didn’t understand the reasonings for this. We made it clear we would always want him if he were to be moved. I was hurt and disappointed in the broken system. We prayed for my son’s brother daily, but I had to not let myself think about how the state let us down. The system is far from perfect and can be very hurtful at times, but I know I still need to show up and advocate to the best of my ability for these kids in care. We were thankful even though he wasn’t with us he was safe and being loved well. The months to follow my foster daughter’s bio mother was working her case plan and was being successful. We were happy to see progress and desired to see this family become whole again. Sadly things took a drastic shift and I became concerned about what would happen if reunification were a reality. I documented what I observed from visits and prayed for the best for my foster daughter and bio mother. It was a mixture of emotions the goal did end up changing from reunification to adoption. We were rooting for bio mom so we were heartbroken that reunification was no longer an option, but thankful for my foster daughter’s safety. In true foster care fashion, everything seems to happen at once. The same week the future of my foster daughter was known I got a call asking if I was still interested in my son’s biological brother. I said yes and I would make it work no matter what the sacrifice. A few weeks later we welcomed my son’s 9 month old brother into our home. He is the sweetest little guy and I’m taken aback every time I see similarities of him and my son Franklin. I can’t help but imagine these two boys as adults and they now have an opportunity to have a forever relationship. Even thought my foster daughter isn’t related by blood with the boys, you would never know by their actions that they aren’t bio siblings. They constantly hug and kiss (with some taking each other’s toys mixed in). It warms my heart to hear them call each other brother and sister. We know we all belong together. We talk everyday how each child is chosen, loved, and wanted. 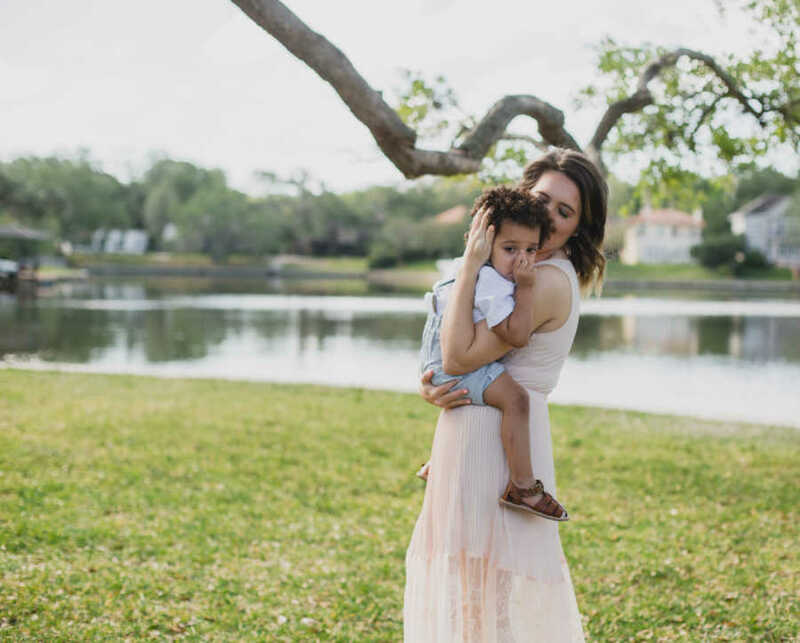 Being a single foster and adoptive mom has been the sweetest experience. It’s incredible seeing how God answered my prayers in an unconventional way to bring about a family. 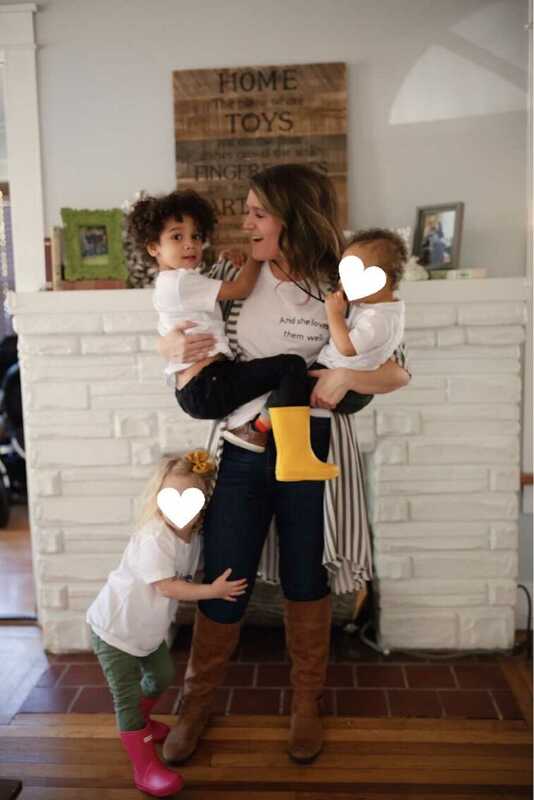 I never would have dreamed I would be a single foster and adoptive mom to three toddlers three and under but it has been a joyful whirlwind. It isn’t what I expected and it certainly isn’t easy. There are tough days when I wish I didn’t have responsibilities anymore, but I would choose this life again, again, and again. I’m thankful the Lord brought us all together in the crazy timing that he did. The hurt of the reasons for the adoptions isn’t lost on me but I am thankful the Lord saw fit we should be together for it. We’re praying the adoptions of both children will happen spring of 2019 and we can share their beautiful faces and names soon! 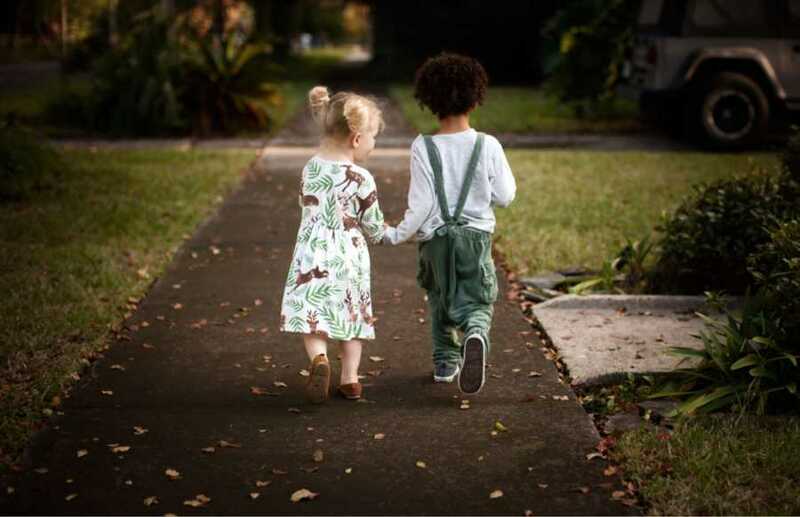 This story was submitted to Love What Matters by Bethany Moore. Follow her on Instagram here. Submit your own story here, and subscribe to our best stories in our free newsletter here.